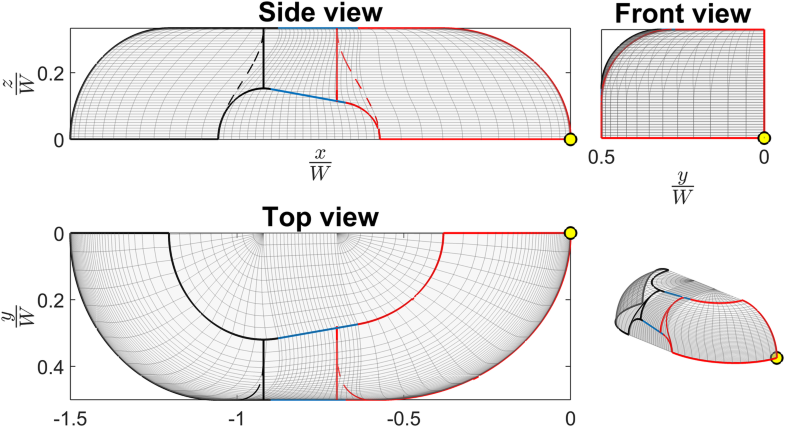 This paper presents a geometric model to approximate the interface shape of Taylor bubbles and droplets moving in rectangular microchannels. To retrieve the entire 3D interface geometry, the following apriori knowledge is required: the cross-sectional channel geometry, the droplet/bubble length, and the flow-related front and back cap deformation ratios retrieved, e.g., from instantaneous images of translating interfaces. The accuracy of the interface shape model is benchmarked with experimentally generated average images of the statistical distribution of a particulate tracer. In the experiment, the fluidic material system, the aspect ratio of the channel cross section, and the droplet/bubble length are varied. The mean overall deviation between the model and the experimental data remains below \(2\%\). 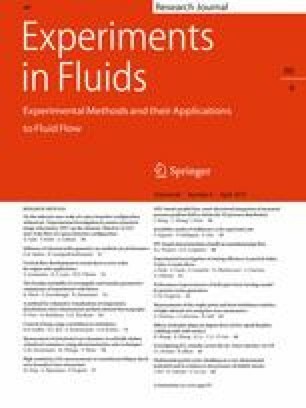 The interface shape model is applicable for horizontal pressure-driven liquid–liquid and gas–liquid fluid systems in a range of Ca \(< 0.01\), \(Re \lesssim 1\) and \(Bo \ll 1\) with the liquid continuous phase wetting the wall. The model can be applied, e.g., to guide the 3D flow field reconstruction of multi-plane \(\upmu\)-PIV measurements of Taylor flows.